Lonely Planet Coastal Queensland &amp; the Great Barrier Reef 8 is your passport to the most relevant, up-to-date advice on what to see and skip, and what hidden discoveries await you. Dive the Great Barrier Reef, walk through the magnificent... read more Daintree Rainforest, then surf and play on the Gold Coast; all with your trusted travel companion. 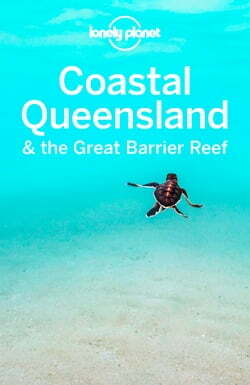 Get to the heart of Queensland and the Great Barrier Reefand begin your journey now! The Perfect Choice: Lonely Planet Coastal Queensland &amp; the Great Barrier Reef , our most comprehensive guide to Queensland &amp; the Great Barrier Reef, is perfect for both exploring top sights and taking roads less travelled. Looking for a guide focused on Brisbane? Check out Lonely Planet Pocket Brisbane &amp; the Gold Coast, a handy-sized guide focused on the can't-miss sights for a quick trip.